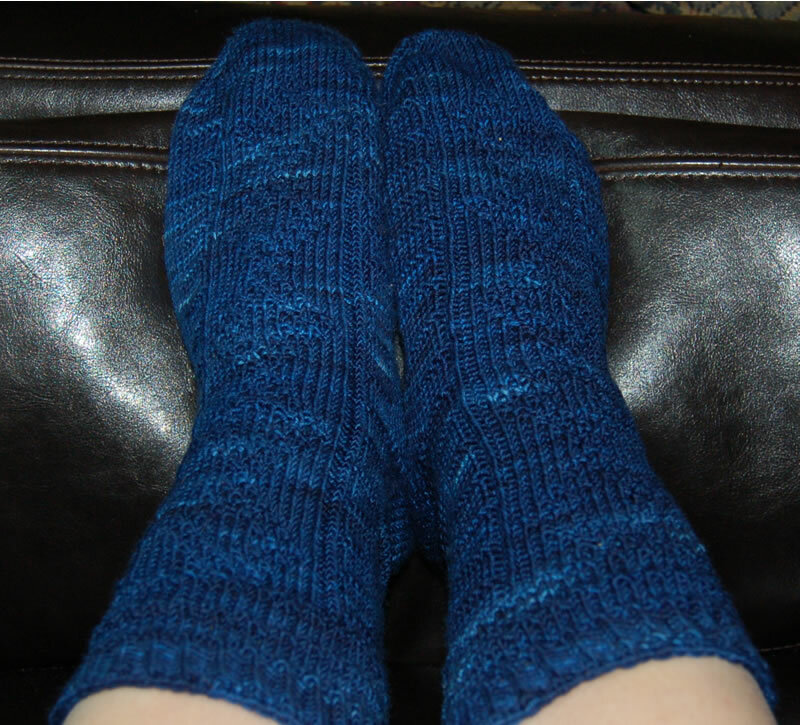 Well, I'm tired, but I finished my SKP2008 socks 2 days ago. Then I decided not to knit yesterday, but I'm jumping back in today. Required Gauge: 8 st/inch; My gauge: 7 st/inch, but I was making these for a Men's size US10 and the pattern was written for Women's size US7-9, so I did not adjust the pattern. Comments: Fun pattern to knit. 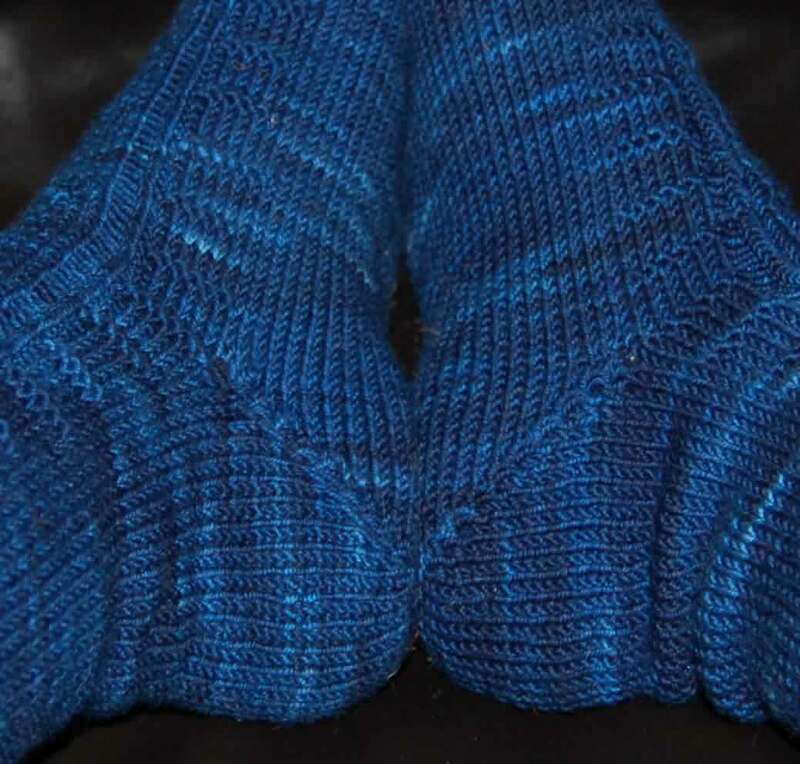 I hope the short row heel holds up (I usually only use short row heels for baby socks and Christmas stockings). You really can't see the diamond design in these pictures, but the design looks nice in person. Back to knitting today. I hope to finish up my Firestarter socks. Your socks look great. Love the color.